The Rositano Group can help your business reach new and existing customers with ease. Our St. Louis based professional staff can help you setup your user database within WordPress or utilize one of the many 3rd party resources available. We have experience designing exceptional email campaigns, sharing them on social networks, integrating with web services, managing subscribers and tracking results. By integrating your campaigns into your web and social media platforms, we can help you establish a database that meets or exceeds expectations and allows you to tap the potential benefits of communication customers. We are familiar with the CAN-SPAM act of 2003 which are the national standards for the sending of commercial e-mail in the United States. Click Here learn more about CAN-SPAM from Wikipedia. 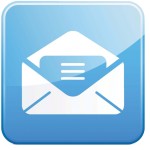 Contact Us today to setup a consultation in preparation for your next Email campaign.